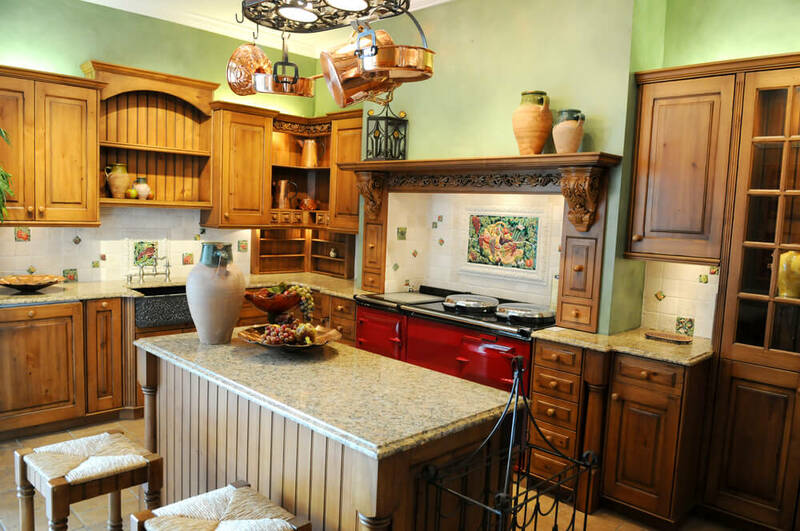 Are you considering installing a country kitchen in your home or simple redesign featuring country kitchen decor? 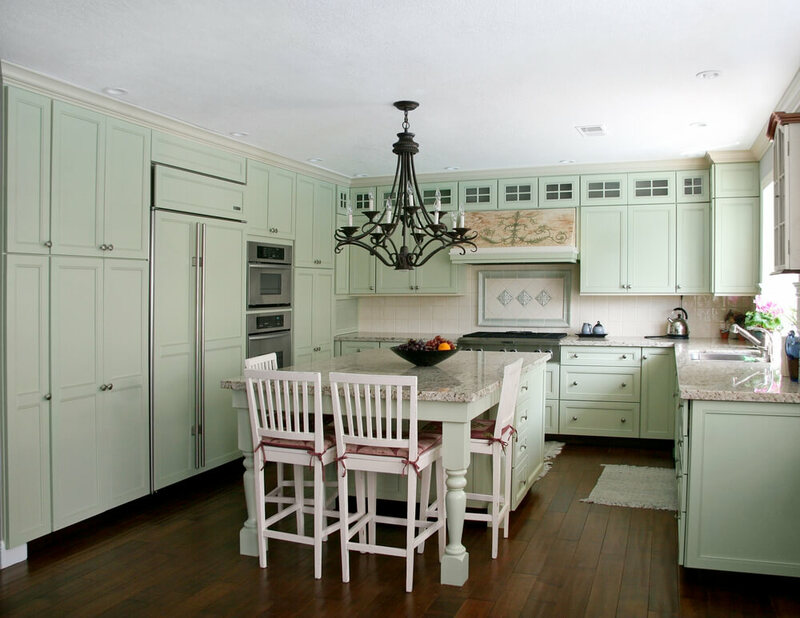 Before you begin, it is important to determine just what type of “country” style you are looking for. 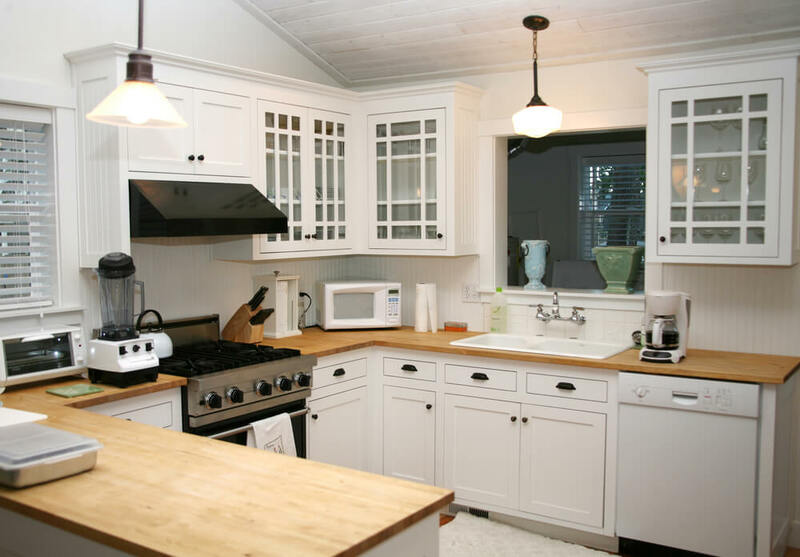 As with many design styles, there are variations of a country kitchen. 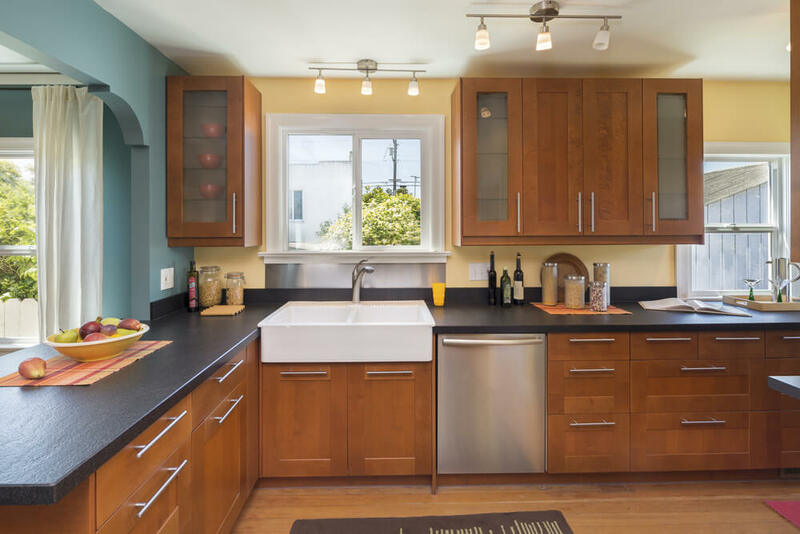 The following types of kitchens are just a few of the many country styles available; however, they will give you inspiration for the direction that your new kitchen can take. 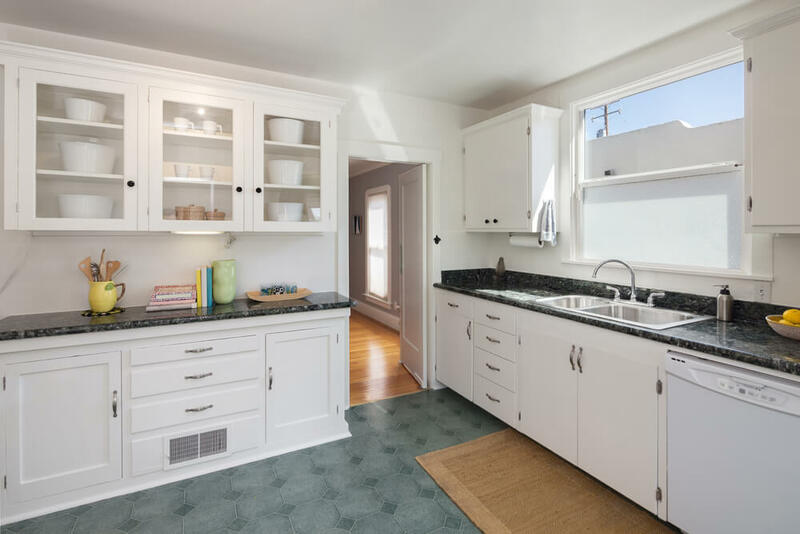 Additional information is also available in giving you an idea of the type of country kitchen decor to look for when creating your space. 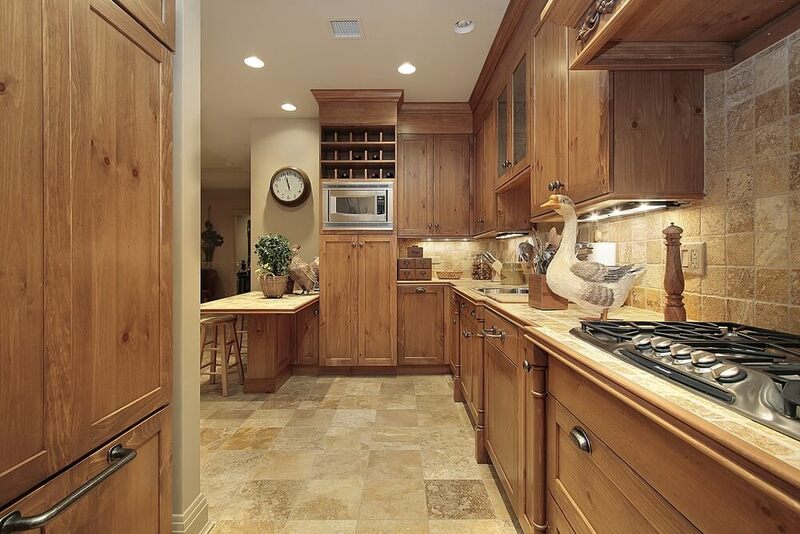 Modern country kitchens are designed to exude a welcoming simplicity. They are designed to allow the materials to speak for themselves, rather than focusing on fussy country décor. 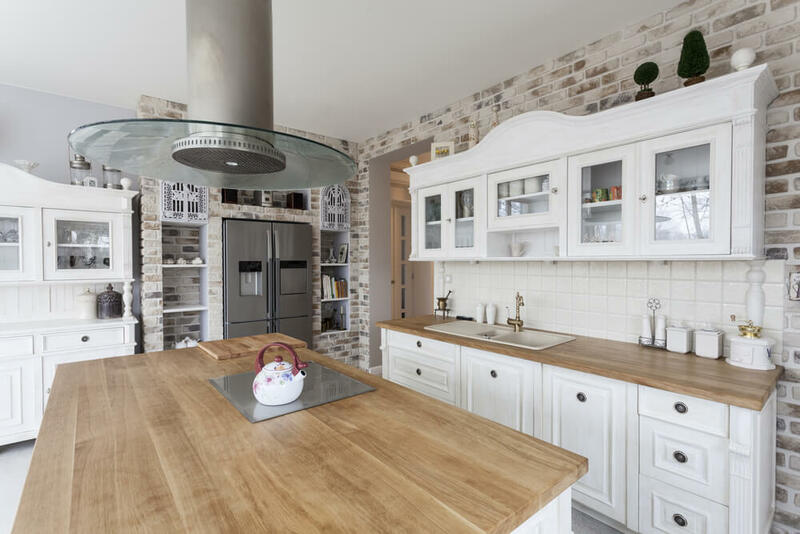 By incorporating elements such as rustic barn board, industrial fixtures and sleek, modern hardware a modern country kitchen is able to seamlessly integrate a variety of materials in order to achieve one, cohesive style. 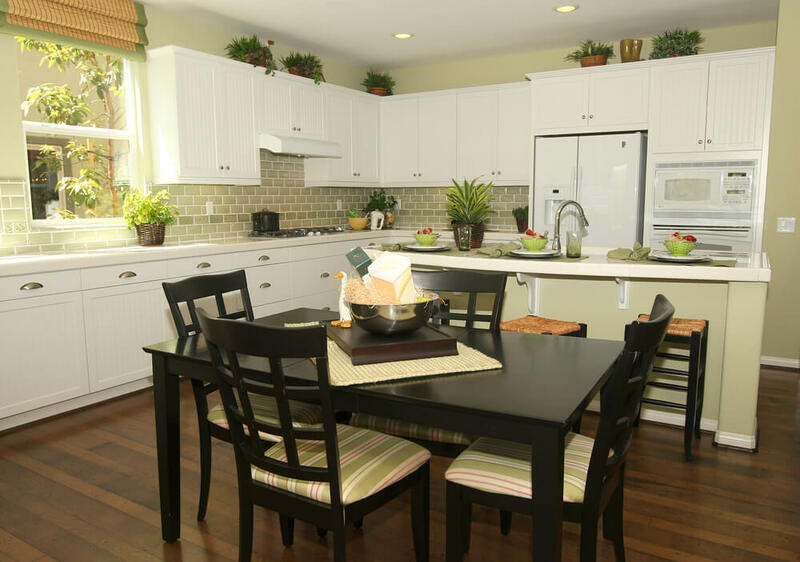 This design style is adaptable and can be installed in a variety of homes, from modern to eclectic. Look for: barn lighting, white subway tile, rustic farmhouse table, porcelain berry baskets, industrial metal details. 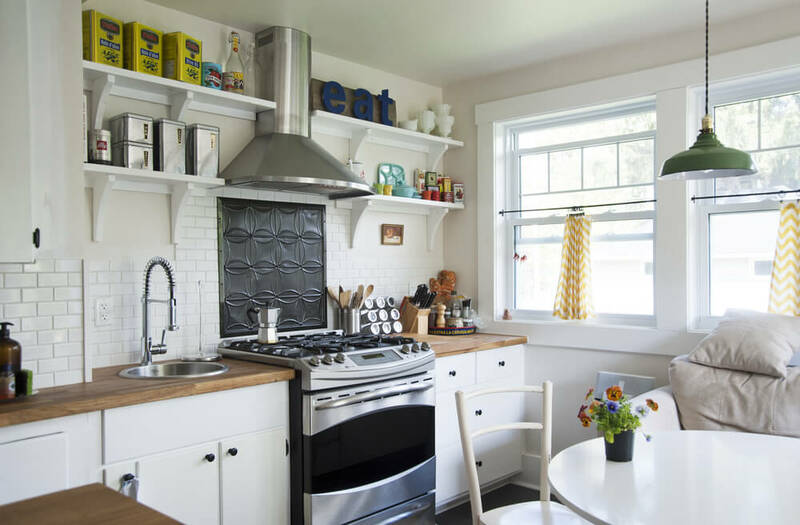 A classic country kitchen is typically full of color, pattern, and warmth. 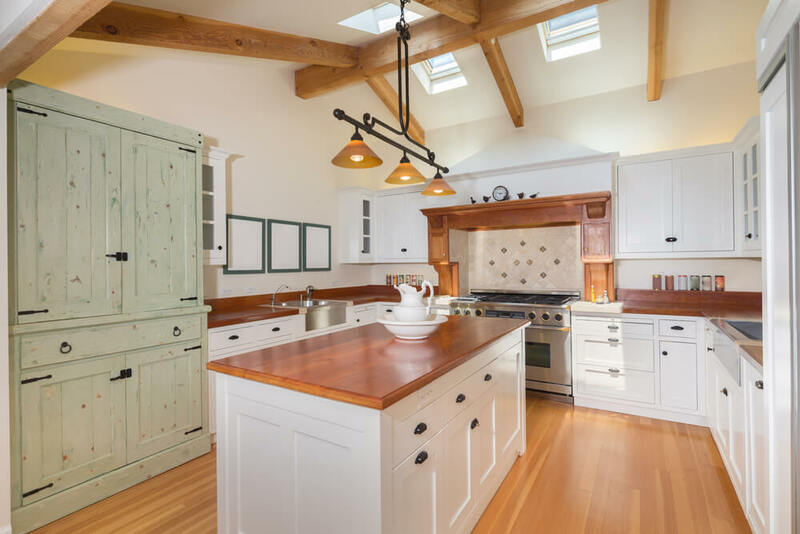 While white cabinetry is often seen in a classic country design, it is not unusual to see the use of pine, oak and other warm woods in the cabinetry and island. As well, the furniture may feature a worn detail. 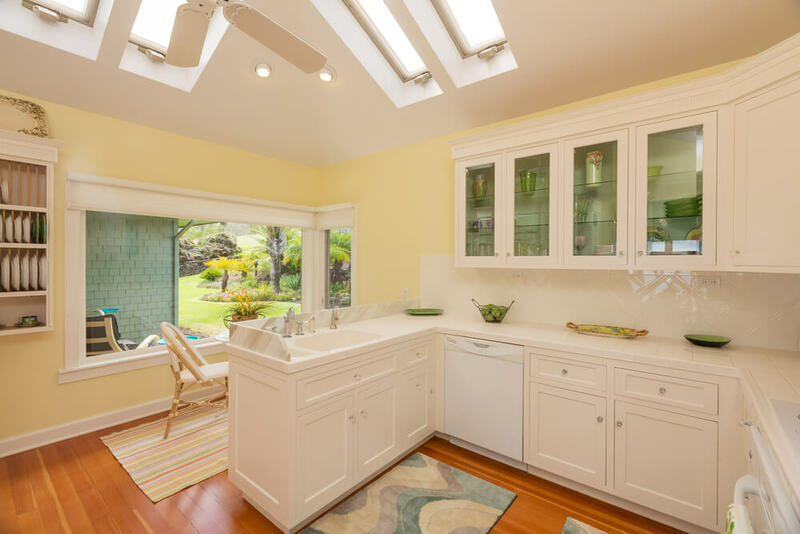 Window treatments and kitchen linens typically feature toile, paisley or checkered prints. 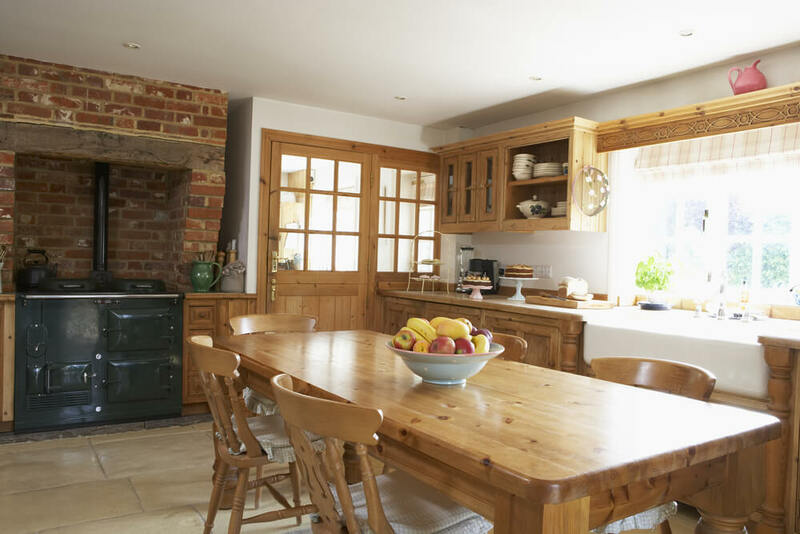 You are likely to find a few strategically placed roosters, woven baskets and country crockery added for a traditional effect. 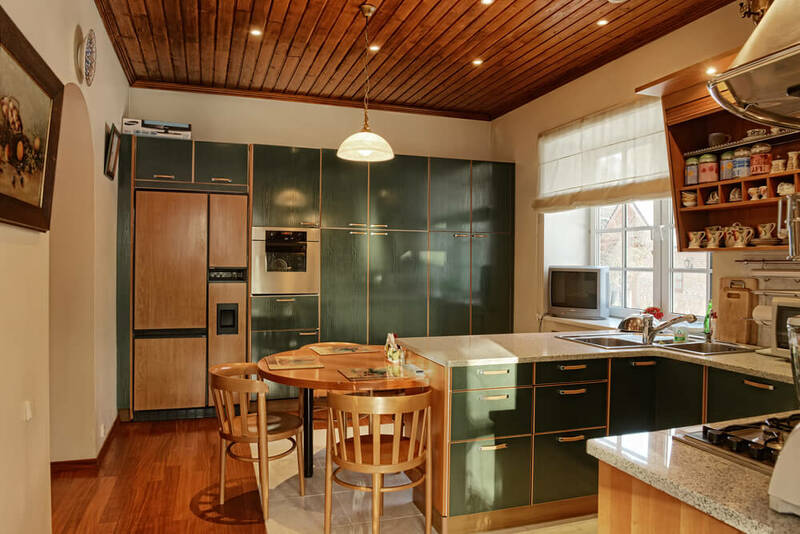 Look for: Fabric in toile, checker or paisley patterns, hardware, and furniture with an aged patina, copper pots, colorful dishware (red, blue or yellow). 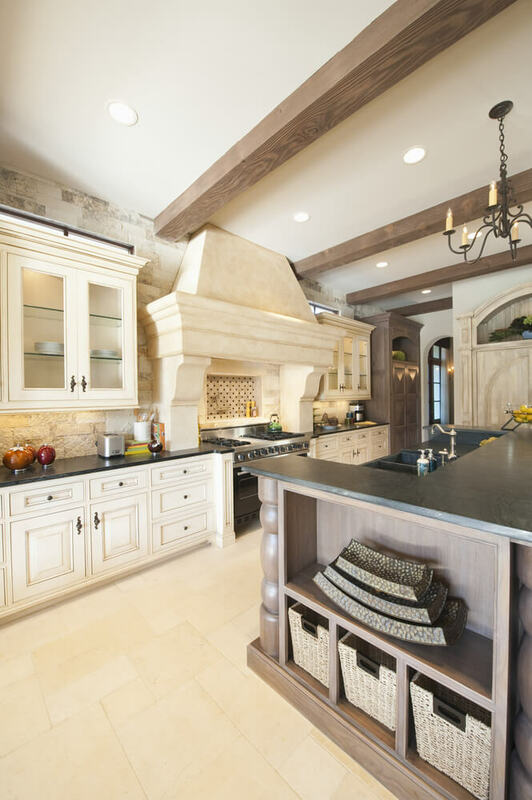 A kitchen designed to reflect a French country aesthetic balances rustic charm and simple elegance. It reflects the countryside of France with its rolling hills and fields of lavender. 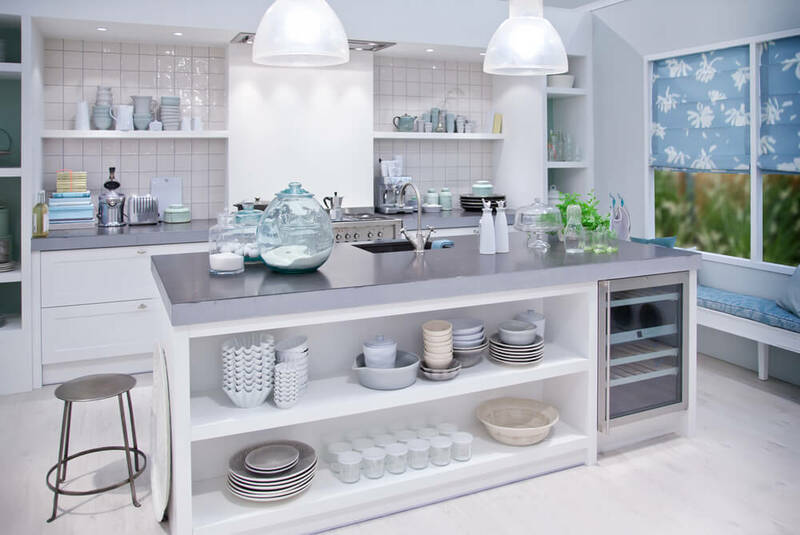 The foundational colors of this type of space will be subdued – pale yellow, soft blue, dove gray. 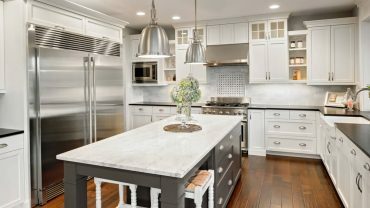 This style also focuses on the use of stone, brick, and wood, specifically for the flooring, countertops and backsplash. However, these materials are not those found in modern spaces. Instead, they often feature decorative detail, flourishes or natural imperfections. Look for: Fresh flowers, traditional lines, fabrics (gingham, toile, etc. 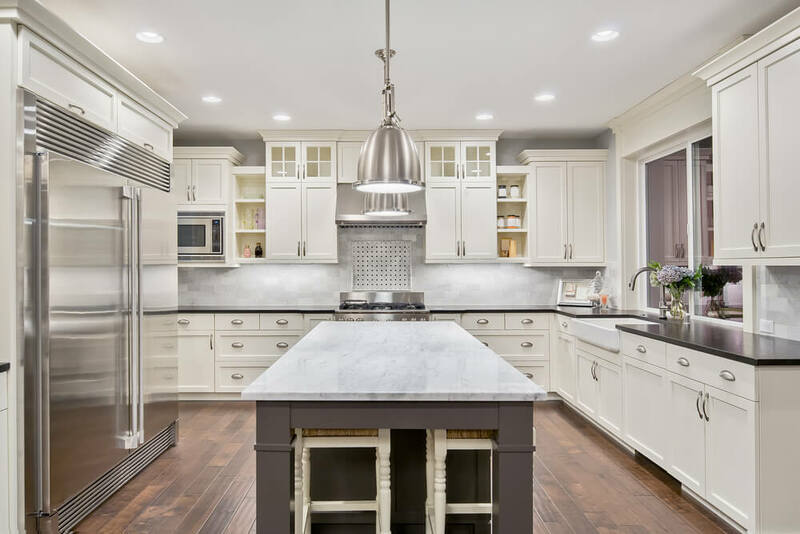 ), paint colors in soft grays, blues and yellows, items that are both decorative and practical (candlesticks, pitchers, dishware).